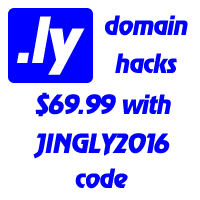 By now, we have seen many interesting and jingly .ly sites, many URL shorteners too (bit.ly of course, followed by adf.ly, ht.ly, ow.ly, 3.ly, ... you name it). So far so good, but this blog never properly discussed the local market. And it is high time for it. Monir Elhussein opened monir.ly in May this year and in less than four month he nearly made it to Alexa 50k. The site is ranked by Alexa as number 115 in Libya and number 17 .ly globally (being number 5 of those in Arabic). I just focused on writing about my daily life and other important articles, pretty unique too so Google and Alexa ranked them successfully. My recent article was about the most important Arabic technology blogs. Well done Monir! We all wish you inspiration for your next articles.